Venue: Nationals Park; Washington, D.C. I think Marrero gets his first career HR tonight. I've never heard of half of Houston's lineup. 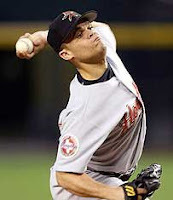 Lannan's non-sabr numbers look a lot like Wandy's. Espinosa's Bobblehead looks like Desmond. I really wanted to go tonight just for the Espi bobblehead but I held back because I know that once I get that first bobblehead I'll feel compelled to start collecting them, and I don't want to go down that road. i really can't get over how impressed i've been with him. obviously davey likes him if he's playing everyday. i think we sweep this series, btw. 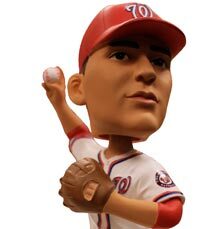 Pretty sure the Espinosa bobblehead has Desmond's head in a lighter color. First 15,000 fans means they'll have 10,000 left over. We stood on line for 20 minutes to get in via the home plate gate at 5:50. They are checking EVERYTHING and making the ladies throw out liquid cosmetics. If you get here at 7, you might get in by the 4th inning. That's funny, when we came through at 4:30 they didn't check us for anything. I took a crap at home so they didn't need to check that. Had to pull stuff out of my wife's pocketbook. I had the bag for the bobbleheads with a towel in it and I just had to shake out the towel. My wife just reminded me that they also confiscated one of those blue gel ice packs from someone ahead of us on line. How much is Lerner charging for the security fee? 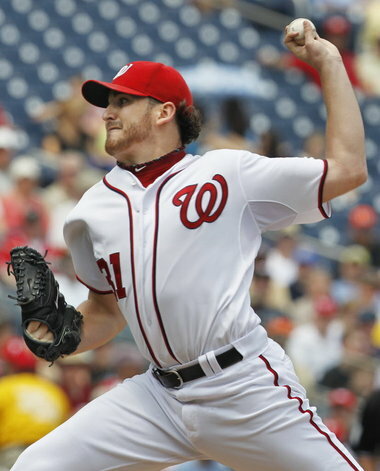 Anyone know where I can get one of those Ryan Zimmeran Fathead Jrs? eBay comes up empty and they look awesome! Good ole Bob on a fly ball again. 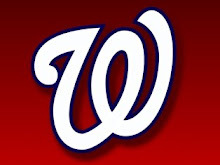 I noticed that HR by Werth...not on the scoreboard, unfortunately.